Today James Dunn and I where out in Coire An T-Sneachda. 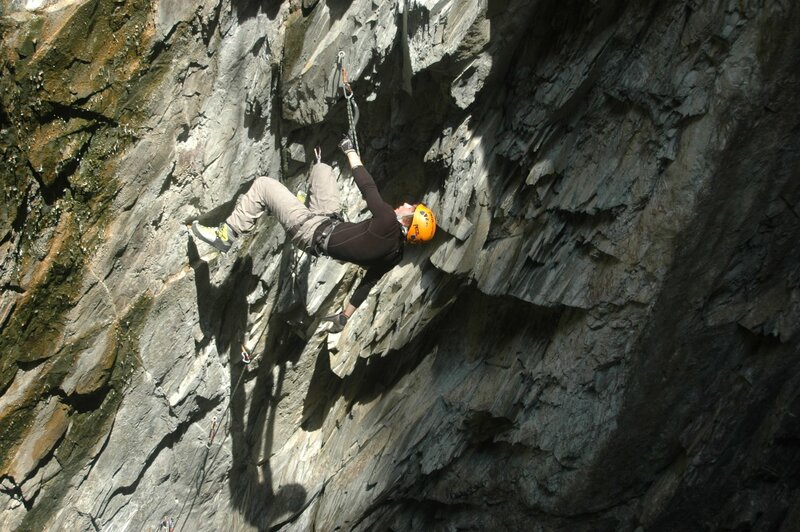 Most of the buttresses were black with a couple of routes arguably climbable, eg. invernookie and the seam but the only route in the whole Coire that looked worth doing was the ice pitch at the start of Aladdins Mirror Direct. The ice was very lean and it had formed into more of a piller rather than the nice icey ramp in the guide book photo. 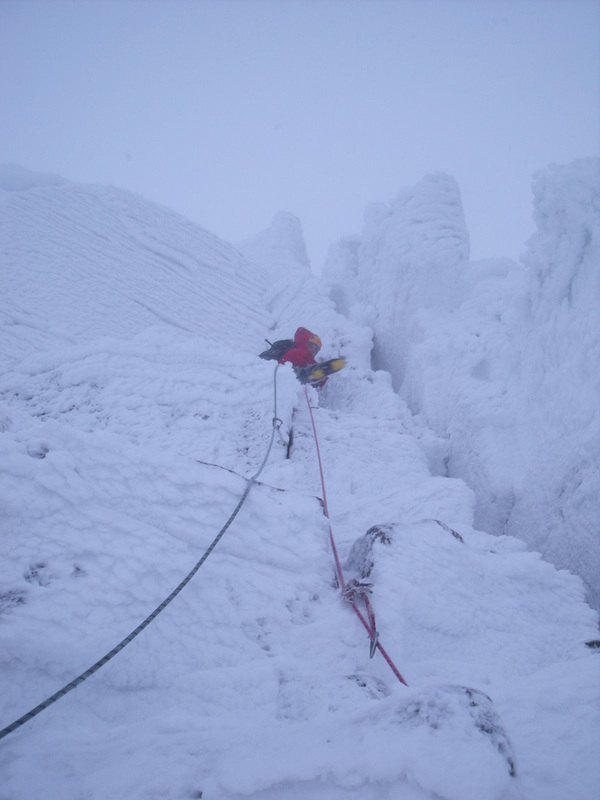 James lead up to the bottom of the piller and then decided to bring me up and let me lead the steeper ice. The ice was thin and brittle with one side runner at the bottom of the piller (one of those confidence boosting pieces of gear that wouldn’t really help if you fell, Oh the joys!) but it was good fun and it meant it wasn’t a wast of a day. After the ice piller it was onto the Grade 1 ground which was all iced up or frozen turf so we soloed up to the summit. On the whole it was a good fun day out and the sun was shining. (so we can’t really complain as this is very rare in scotland). Today Euan and I did The Hoarmaster in Corie An Lochain. 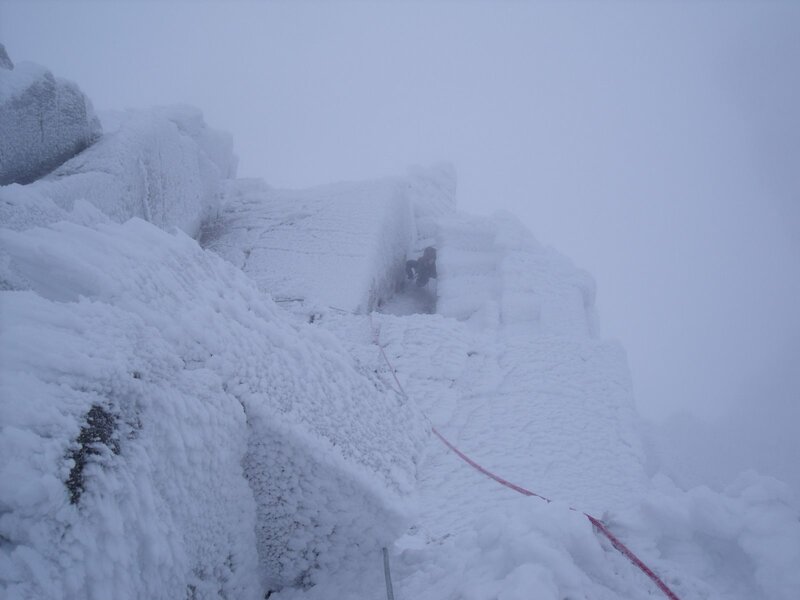 The conditions were very wintery and there was a lot of build up on the route which made the climbing conditions hard. But despite the heavy build up, Euan put on a good show when he cruised the first (crux) pitch of the route eventhough the wind was exploading the rime into his face. 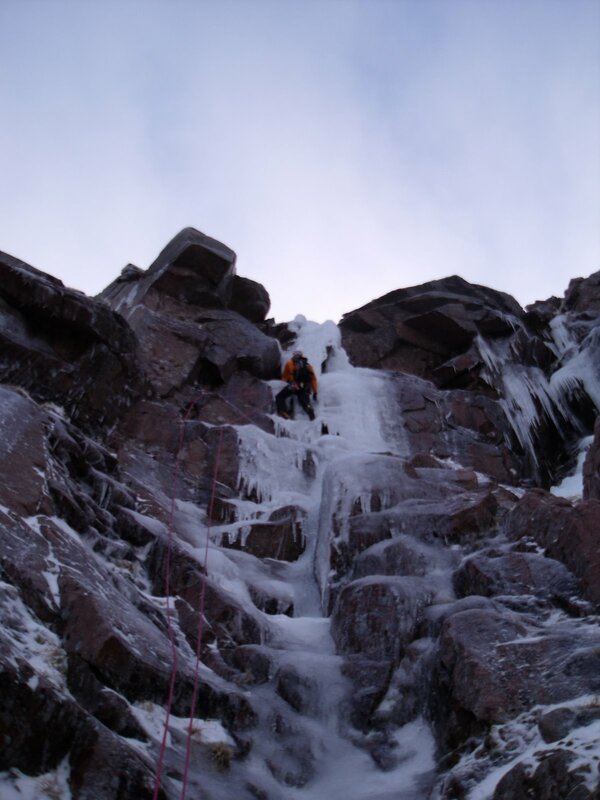 I led the second pitch, which was also good, although the chimney section didn’t stop dumping snow on my head. I couldn’t see until I had pulled free and moved out onto the last slab, where the build up wasn’t too bad, but the climbing remained sustained. Regardless of the stormy conditions we both had a good day out and were pleased with the route we had done. Yesterday I led Fast and Furious (D10+). After a couple of days working the moves on this route I finaly got the redpoint yesterday. I am well Psyched that I got the route and now that I’ve done it im just looking forward to a good winter full of climbing.